As most of you know, I joined a 40-day Paleo challenge at the beginning of the year through my CrossFit gym. The challenge officially ended on Friday (Valentine's Day… What a perfect day to end a diet challenge, hehe). With Terry being gone for a week, a weekend trip out of town, Superbowl Sunday, and the challenge ending on Valentine's Day, I would say that the challenge was a surprising success! I was weighed and remeasured yesterday before my 4:00 CrossFit class. Within 40 days, I have lost exactly eight pounds and 4% of my body fat percentage! We did body fat percentage measurements at three points: triceps, super iliac, and thigh. I lost 9mm in my tricep, 4mm in my super iliac (above my hip bone), and 0.5mm in my thigh. Pretty huge results in only 40 days! I can't wait to see what another few months will do. The picture on the left is the day I started the challenge and the picture on the right is the day I ended the challenge. But this is only the beginning… I have a long way to go! I'm starting to feel thinner in my midsection and stronger every day. When I look at these pictures, I definitely see a difference in my face -- it's amazing how much my face has changed throughout my weight loss journey. I have learned so much with this diet and have tried so many new things! Egg bakes, cauliflower "mashed potatoes", meatballs, spaghetti squash casseroles, cedar planked salmon, homemade guacamole, sweet potatoes, mustard glazed chicken thighs, roasted veggies, and almond butter! All amazing meals that don't include a speck of grain. I absolutely love being in the kitchen and have learned that the time spent in the kitchen is way more important than the time spent in the gym. Whenever I go grocery shopping, I spend the following couple of hours to wash, cut, and prepare everything so it's easy to grab and ready to use. I'll even prepare a casserole or two, hard boil eggs, and baggie up veggies so packing lunches is super quick and easy. Terry has been awesome throughout the process and has even tried many new things! There have been many nights where we made two separate meals so that I can stick to my goals and he can eat whatever he wants. I never pushed the diet onto him or forced him to eat anything. I stuck with things I knew he already liked and if he didn't want to try something, I would make him something else. One night last week, I made "chicken fingers" using ground flaxseed, "mashed potatoes" using cauliflower, and green beans. He ate it all and even admitted that it was good! The information that I have learned on this diet can't be taken back and I will apply what I've learned from now on, not just because I'm in a challenge. I've been sleeping great, my moods have been more stable, and my confidence is always improving. CrossFit has definitely been a major part of that. I just signed up for an unlimited membership and look forward to more results, more knowledge, and more confidence! If you have any questions about the Paleo diet, CrossFit, or anything in general, please ask! 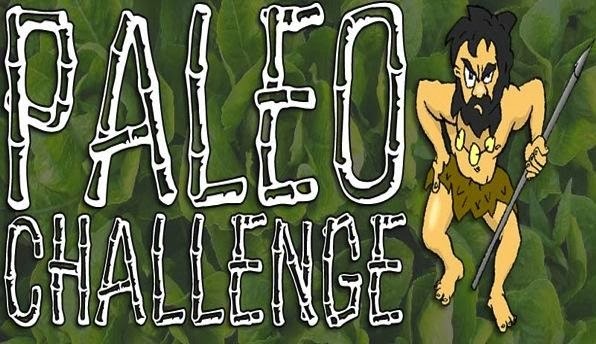 The Paleo diet is not for everyone and this post is not about pushing the Paleo diet on anyone. I'm here to share my journey and would love to help you start on yours!